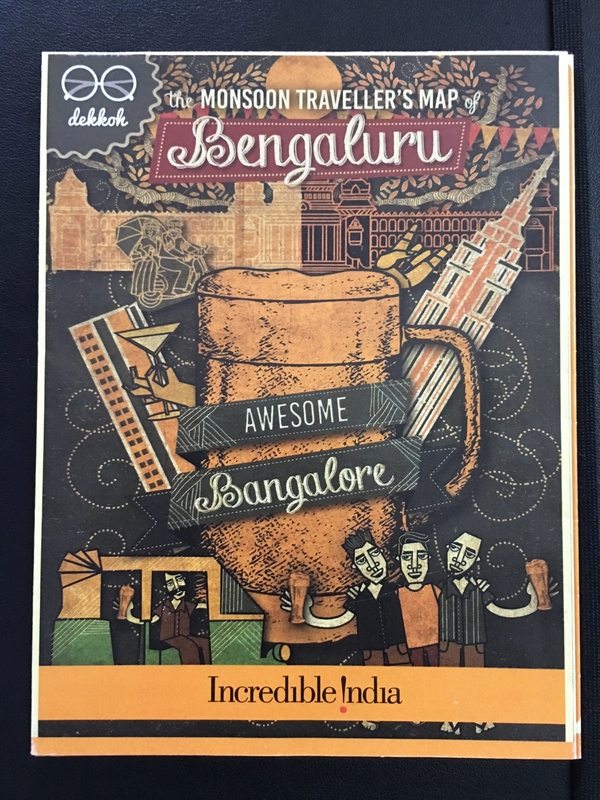 My (first) passage to India saw me set down in Bangalore the evening of Friday 20th November, 2015. I had come from Sri Lanka, travelling the night before through the dense jungle that continues to isolate the Eastern Province (six elephants on the road out of Pottuvil) and floods in the lower plains as we moved West across Sri Lanka to the airport. Since mid-March, 2015, I’d been anchored to Arugam Bay, 3KM south of Pottuvil, and pretty much to one single beach – Main Point, with just a couple of trips to Ratnapura’s lush gem country, and with a month in Bali in May. I know: a pretty good year, and a pretty unusual year. Perhaps the first year I’ve ever felt this kind of mental freedom to choose to be somewhere doing something for which I’ve seen no template. This liberty has been a growing realisation since the 18th July, 2014, when I took off from life as I knew it working in the corporate world in the British Isles – then fully a part of that system, a producer of that system. And now my first steps in India: Bangalore, or Bengaluru as it was renamed in November, 2014. I was thrilled to be in such an inviting place – the shiny new airport, the slick new e-visa reception (for the two of us who’d used that method), the ease of everything, the well-executed Lovely Lulu guide with its reassuring tone. Why had I ever worried about travelling alone in India? And heck, I’m now me, fully 37th level me (following the example of an inspired friend who has decided to start talking about age as levels), as tough as old boots (and looking the part at the moment too), fiercely abrupt when I need to be, and with a burnt heart that knows how to rage (ahem, the first of many stories for another day). I was lucky to have a room reserved with possibly the most amazing lady you will find in the country: I am proud I knew where to find her amongst all of India’s 1.252 billion people (China has 1.357, America a mere 316.5 million). Subha is another incredible friend from Sri Lanka`. I met her, of course, in Arugam Bay – a place, it seems, with the highest density of magical people. 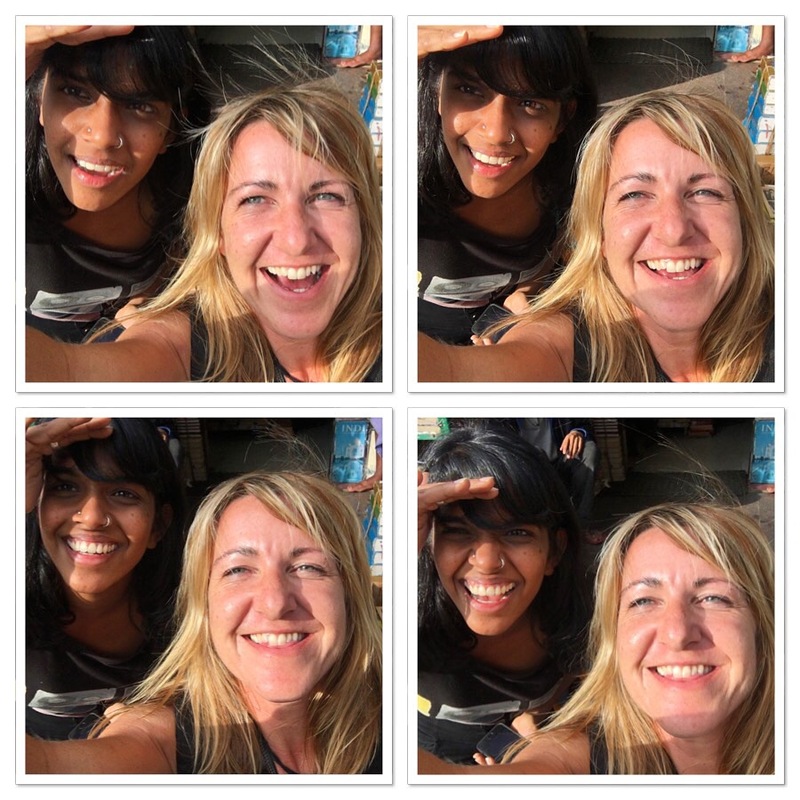 India was vibrant, engaging, caring from the start – actually qualities I praised in my host as I asked what I’d do without her when I set off alone. To which she replied: “all you need in India is Mother India”. She turns out to be very right. My first trip the next day was to get a SIM for the new iPhone* and get online. At the phone stand (they are everywhere, even in the smallest of towns) I was smacked with the first of many hits of authentic kindness: a young woman approached and asked if I was getting everything I needed, could she help? A student at Mount Carmel, she was a beacon: an engaging, open minded, optimistic bioengineer. We proceeded to have a wide-ranging conversation where we learned a lot about each other’s lives over chai. If this is the future female generation rising in India, we are a lucky world. During my stay in Bangalore I finally visited the doctors and the dentists – basic personal care I’d let slide the previous eight months, the first proper self-care since I left my mum and (step-father) Ian’s place in Tanzania in early March, 2015. I started to clear the post-viral lung inflammation I’d had for the previous month since I caught a cold from uncle VJ / VJ mama (a cold he claimed not to have: “Cleaning,” he’d say whilst making a lot of noise from his nose in front of everyone. “Everything kick out.”), a cold I caught whilst nursing nicely inflammed sinuses due to a nose injury caused by a dear friend jumping after me (and accidentally heavily onto my face) in order to, ahem, ‘save’ me from my unharmed position at the bottom of a well… (again, a story for another post). “Stasis is the enemy of life. Keep moving. Keep dancing. You reminded me I need quality, varied, up-a-notch nights where I can dance without censure, and that I don’t really need the standard deep house beach party / cattle market / excuse-for-a-fight night Saturday I’ve become accustomed to this year in A Bay. 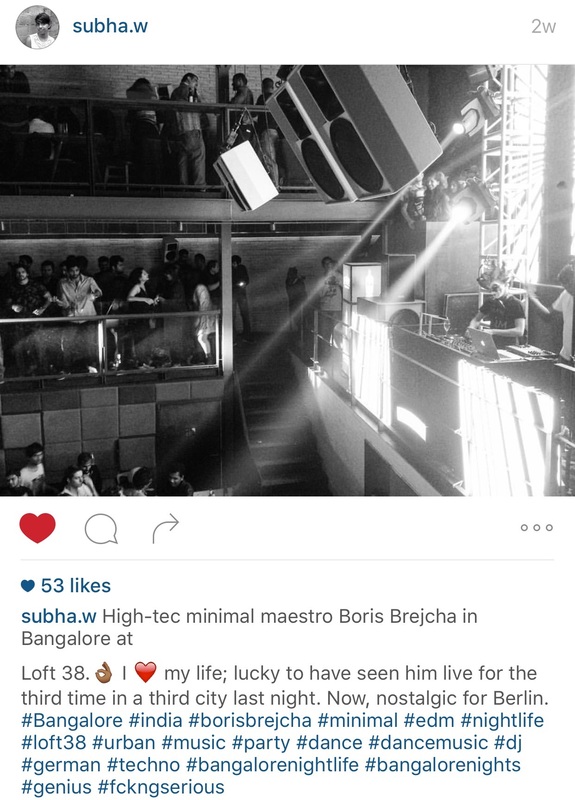 After a chilled Sunday beginning with breakfast in a Bangalore institution, Subha whisked me to Loft 38 where Berlin’s “high-tech minimal maestro”± Boris Brechja was performing. Bangalore, you made me dance like I was in Berlin. I remembered that I’m bookish, need debate, need challenge. Over the next few days of eating amazing food and having debate after debate with one of the sharpest minds you’ll meet, I started to wake up to a need I’ve been drastically neglecting: voracious (often, but not necessarily, female) conversationalists. When I have that in my life I am the laser-focused lady who finds inspiration in everything; attending to your own needs can help you breathe again. Stasis is the enemy of life. Keep moving. Keep dancing. Keep talking. Keep challenging. Keep seeking out the things that make you hum with life. Thank you, Bangalore. Thank you, Subha! Yes, newest of the new iPhones, the first time in my life I have ever bought the latest model of phone. A sea change in character proceeded my passage to India: for so long I persisted with this old old Nokia as the rest of the world (I think actually, not just emphatically) transitioned to smart devices. I was saving money, in the poverty consciousness that was my Jersey life. The 5s was broken in a well-falling incident you may hear about from me one day. ± Thanks to Subha for the modifiers.